Now I know why he was knocking over dumpsters. The creature from the black lagoon! In 1954 my parents took me and my little brother on a great vacation in Florida - got aboard the train in Penn Station and wound up in Miami! Once upon a time i could have rode the train all the way to Key West but that was 19 years earlier. But anyway we went to Silver Springs Florida and i saw the real creature from the b.l. on the shore when we were riding on the glass bottom boat, just like in this picture! I feel like I'm seeing an old friend again. Hi, Creature remember me? I knocked dem over because voices in my head told me to do it. Y'know I almost got fired before the fair even started. They were teaching me to drive a bus and i was doing one of my goofy comedy routines and the instructor who didn't like my jokes, or me, sent me to the big boss to check me out and find out if i was really nuts. I acted sane when i saw him and he OK'd me. Actually i received a 2 year safe driving award from Aetna insurance co. for both years. I still have it. What they didn't know didn't hurt them. I just remembered another time i almost got fired. I had two girls with me in my glide a ride cab. I saw the boss guy - mister peterson or someone - and i made them hop out in time, but i still got reprimanded for being out of uniform. I wasn't wearing my hat. [ This paragraph was deleted and held as evidence by the Pinkerton Detective Agency due to an ongoing investigation of this slimy character, as well as other Greyhound at the WF bus and GAR and (especially) Escorter drivers caught speeding (especially around the Gate 7-8 "speedway"),* crashing into dumpsters*, catching peoples' heads and feet in the back door*, giving overly fast tours right before their check out time*, directing fair visitors to houses of ill repute in the Lake Amusement Area in return for kickbacks*, and other crimes and misdemeanors*; and also the people on here who have admitted hopping the WF fence in order to avoid paying the entrance fee, and also the people on here who have jumped the GM and Ford pavilion lines using the alibi that their mommies and daddies called them. Mister Moses made a special legal stipulation that WF crimes would have a 100 year Statue of Limitations. Not everyone hated my jokes. I got two offers to try out for a radio talk show gig from 2 different radio station managers. That was '64 when i was delivering the guided tour on the tour a g-a-r. I mostly ignored the written tour i was supposed to read and did my own thing. * Uh oh that's me! Here's a link to Ray Dashner's appearance on California's Gold, the beloved local history show hosted by Huell Howser. Thanks for that! Ray gave me that Busch Gardens tour too. I have some photos. I was just talking about a local California show I once watched in a CA motel room where a man goes to a house to interview a couple who had been married for many years, and every single Valentines Day the man drew his wife a picture and they were all framed and on the wall. She was so proud of them. It was very sweet. I couldn't remember the show. but I'm quite sure it is this one, the Huell Howser show, and it must be in the online archives, but I don't know how to find it. Wow, I know this thread was mainly meant to be a search for a number of core members and former regulars who have "disappeared" over the years. But just stumbling on it now, this has been a great little trip down memory lane as well as a chance to do some catching up myself. Thank you for starting this and asking your questions sunguar. I wasn't an original member, but I officially joined PTU in 2005 after lurking around as a visitor for a year or so. SO even though I wasn't here when it all began, it's kind of amazing to think that I've been a (relatively inactive for some time) member for about 14 years now! Being born a few years after the Fair closed I always felt a bit like an outsider and always kind of felt like a "new" member no matter how long I'd been around, but I guess now I'm an old-timer myself! Anyway, there was a time when I was very much a regular here on the boards and am happy to say that I've met a lot of friends here (even if they were and remain only online friends). I think that the question of what happened to all the regulars was perfectly answered by a few people when this thread first started, so I won't reiterate what has already been said. I know that for me life simply shifted and I kind of lost touch with the board for various reasons. The Facebook groups are something very different and could never replace the true community feeling found here (or the wealth of great information), but it's true that it's so easy to get caught up in what happens at Facebook. I get regular notifications about someone posting or responding to something new there and just never seem to find my way back to this site. I still check in every once in a while, but by the time I've gotten somewhat caught up on posts I have to move on to something else before I get a chance to post here. I miss the old days, but am very happy to have so many "friends" from here who have also been willing to become friends with me on Facebook. It's not the same, and I wouldn't consider it a replacement for what we have here, but the fact that on Facebook we get to see what our Fair friends are doing on a day-to-day basis in real life let's us feel the friendship on a different (not better or worse, just different) level. I love seeing posts from Bill C., Trey, John McSweeny and others who I never would have even known if it weren't for the shared interest in the Fair that we all share and that first got us connected via PTU. I can't say why any of the people sunguar listed in the OP don't visit here regularly (or at all in some cases), or why they still have not responded on this thread (in my case I'm JUST seeing it today! ), but I know several of them are indeed in the '64-'65 WF group on Facebook. I always mean to check in here more often and start posting again. But I always mean to do a LOT of things that I simply never seem to find the time to do. It wouldn't be surprising if some of the others have fallen into the same pattern. As has been said, when people first discovered there was a whole forum dedicated to the '64-'65 Fair (and eventually to ALL World's Fairs) it was a very exciting thing to be a part of. So many stories were shared, so many connections were made, so many questions were asked and answered. People do move on, but obviously there are still a lot of the original core group that are still here. 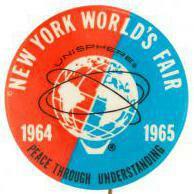 When I first became interested in World's Fairs the '64-'65 NYWF had already been a part of history for about 30 years (I was a bit late to the party). It's kind of amazing now to think that the Fair took place over half-a-century ago, and that this board (and its origins) is about twenty years old itself! Thinking about stuff like that always kind of blows my mind. Thank you, Bill. Feels like coming back home! Thanks for you kind words, Glen. I discovered this forum around May of last year, so I was late to the party. For some reason, when I googled "New York World's Fair" (all through the years) the forums never came up. I only wish I had found it earlier. My curiosity about some of the former members began when I started reading the back posts, and some of those listed not only used to post every day, but sometimes multiple times in a day. So their interests would have been as great as, or greater than mime. So for them to "drop off" the forums kind of baffles me. I suppose one is entitled to switch interests, but I have trouble thinking they abandoned them. If anyone knows of the members listed are on Facebook, tell them to drop by, so as least I can cross them off the list. The only one I "found" was a duplicate--Ray Dasher was RayinPasa. Again, Glen, thanks for the kind words. Welcome back, Glen. You're one of many friends I've made here-- and I'm very grateful for that. I will say one thing about the Facebook groups I'm a part of that are devoted to various Fairs and Expos-- I often find them frustratingly full of incorrect information. I think that's one of the things that first drew me to this website many moons ago. The members here don't just share a common interest in World's Fairs-- many of them have an extremely impressive level of knowledge about their history, planning, construction, exhibits, social impact, demolition, and legacies. In fact, it's hard to name a major World's Fair or Expo that you can't do some kind of deep dive research here on the WFC thanks to the thousands of posts and photos our members have made. Even after the numerous board crashes that unfortunately deleted links and pictures in the past (which may have been a contributing factor in forcing some of its early members to exit)-- in my opinion, this website still remains a preeminent source of factual information on the World's Fairs and Expos of yesterday and today. deep dive research here on the WFC thanks to the thousands of posts and photos our members have made. Even after the numerous board crashes that unfortunately deleted links and pictures in the past (which may have been a contributing factor in forcing some of its early members to exit)-- in my opinion, this website still remains a preeminent source of factual information on the World's Fairs and Expos of yesterday and today. Have the photos posted in older posts been permanently lost to history, or can they somehow be resurrected? I'll defer to my fellow Administrator Bill Cotter, since he's got much more impressive tech skills than me-- but because the board switched hosts a number of times during its wild west days-- I suspect the answer is no.